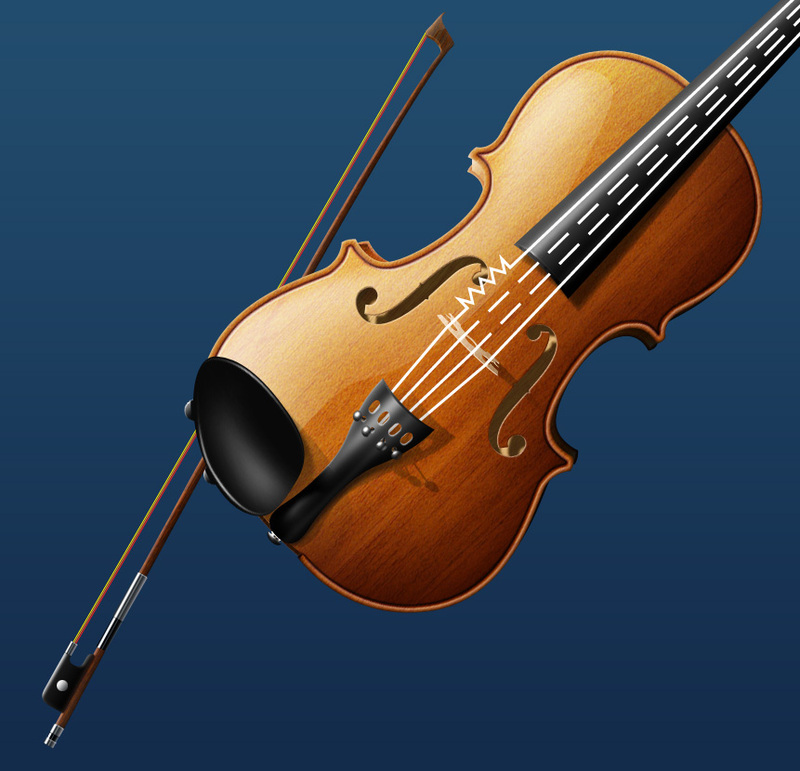 A musical instrument, say a violin, could work well for this page. The company offers good corporate programs and has many partners. The violin could stand for the unanimity Parallel and its orchestra of partners perform with. But the violin doesn’t seem to easily fit into the concept of a gas station website. 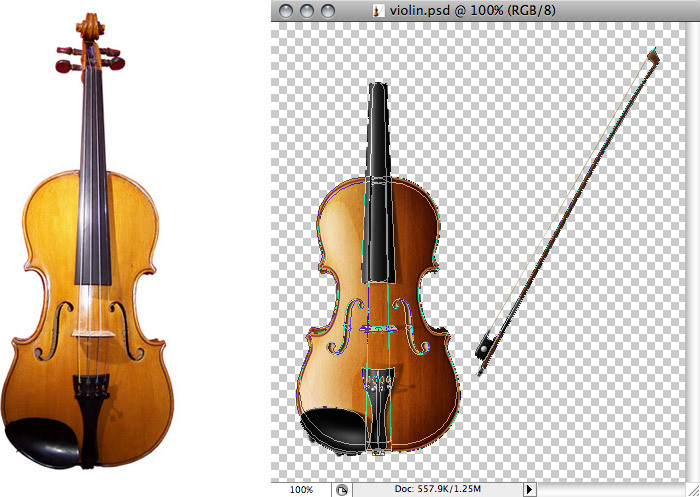 I’d say it lacks details, so I turn the strings into white road lines and paint the bow hair using corporate colors. The client approved the image, but it was not over yet. Ilya Mikhailov suggested that I should develop this violin into a several-neck instrument as to demonstrate that there is a variety of partnership programs. 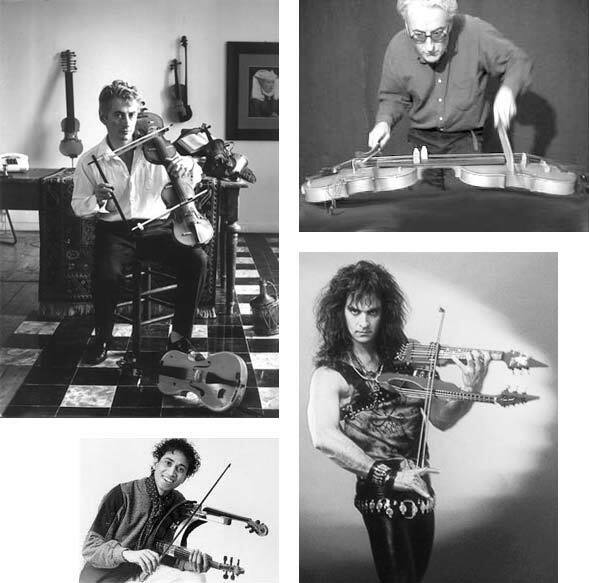 A little research showed that there existed two- and even three-neck violins. But it also turned out they were really rare and too few people could get the idea of it. 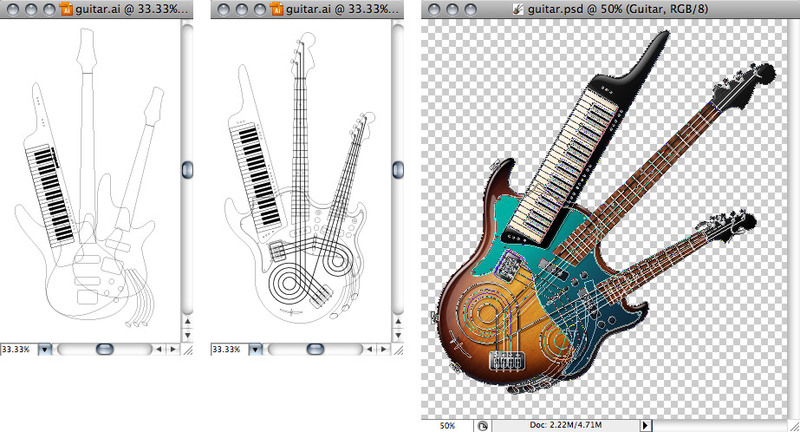 So I try to make a three-neck guitar. I work out all the details—its shape should allow incorporating a tail pipe, and its strings are going to coil creating a road junction. The 1980s saw the introduction and popularity of a synthesizer called keytar. I decide to make a keytar neck too. You may notice that in the context it also reminds one of a crosswalk. 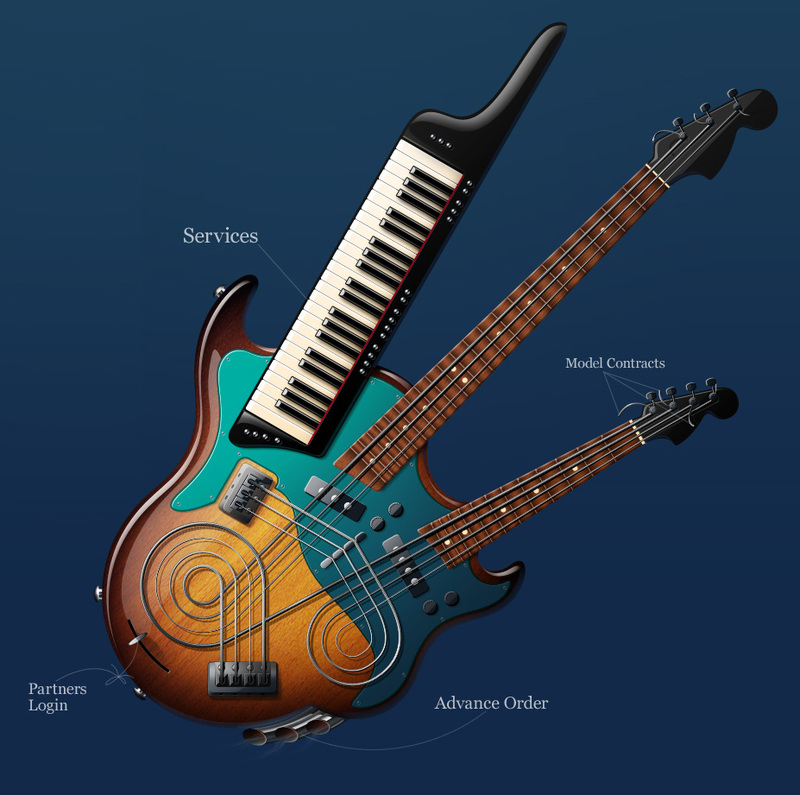 The keytar (a portmanteau of “keyboard” and “guitar”) was made popular by the 1980s bands. I grab a pencil and try to sketch the illustration. It is important to make sure the thing comes out practically usable. Then I launch Illustrator and draw the outlines, add some details and export to Photoshop, where I do the coloring, textures, and light and shading.